What does it take to make it in America? A candid sense of humor, no filter and a mobile phone. Social media stars like Dante Basco, King Keraun and Christian DelGrosso are using Snapchat, Instagram, and Vine to earn a not-so-shabby livelihood by uploading short-form videos from the comfort of their own home. The next generation’s dream job, digital celebrities are garnering the attention of millions of millennials, big brands and Hollywood’s top talent agencies. 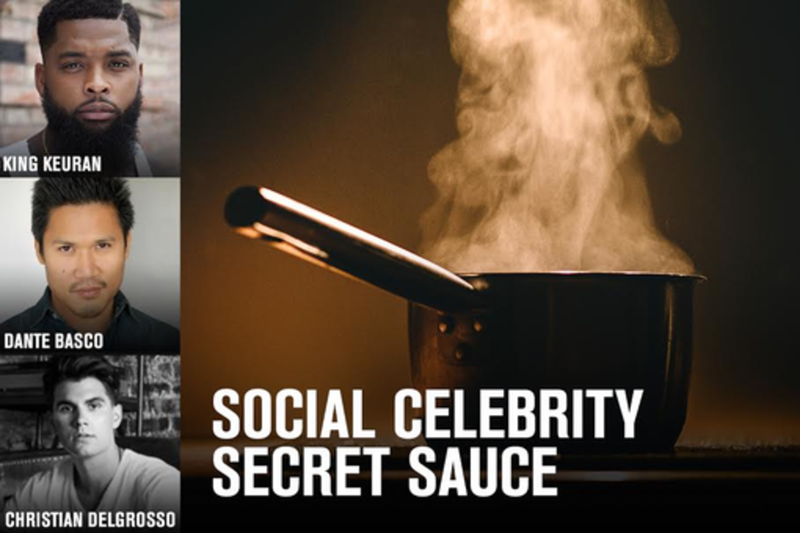 In this session you’ll hear, straight from the source, what the secret is to building a fanbase that will lead to a career as a digital celebrity and watch as all three talents shoot their next piece of social gold. Amy Finnerty is the SVP of Talent at Maker Studios. Amy brings extensive entertainment and music industry knowledge and relationships to Maker, as well as a deep understanding of talent relations and programming. At Maker, Amy is responsible for overseeing the brand’s top talent such as KassemG, Epic Rap Battles Of History, PewdiePie, Snoop Dog and ShayCarl, to name a few. Amy was formerly SVP of Music Programming & Talent Relations for MTV Networks, and is credited for bringing Nirvana to MTV along with Pearl Jam, BeastieBoys, Smashing Pumpkins, NIN, Fatboy Slim and others. She formerly served as VP of A&R at Loud Records/Sony where she made 2 Albums with Wu Tang Clan. She also worked on the Grammy Award-winning FOO FIGHTERS: BACK AND FORTH documentary along with the PEARL JAM TWENTY documentary in 2011. She has toured, produced, directed, and managed top talent across the entertainment industry, working to grow and develop up-and-coming along with established artists. Christian is a vlogger and Vine personality, known for his comedy skits, sarcastic Vines and notable facial expressions. With over 6M followers on Vine, Christian has become one of the most popular Vine stars around. With a hilarious take on real-life situations, often featuring other major digital stars like Cameron Dallas and Logan Paul, Christian is a celebrity for the millennial set. King Keraun, born Keraun Harris, is an entertainer and Instragram personality who specializes in sharing comedy-styled short-form videos with his expansive fan base. In his videos he discusses relationships, performs song covers and dances, and more. With over 1 million fans, King Keraun has quickly become one of the most well-known Instagram personalities, and has even attracted the attention of top hip hop and R&B stars such as Drake, Rick Ross, and Rihanna.